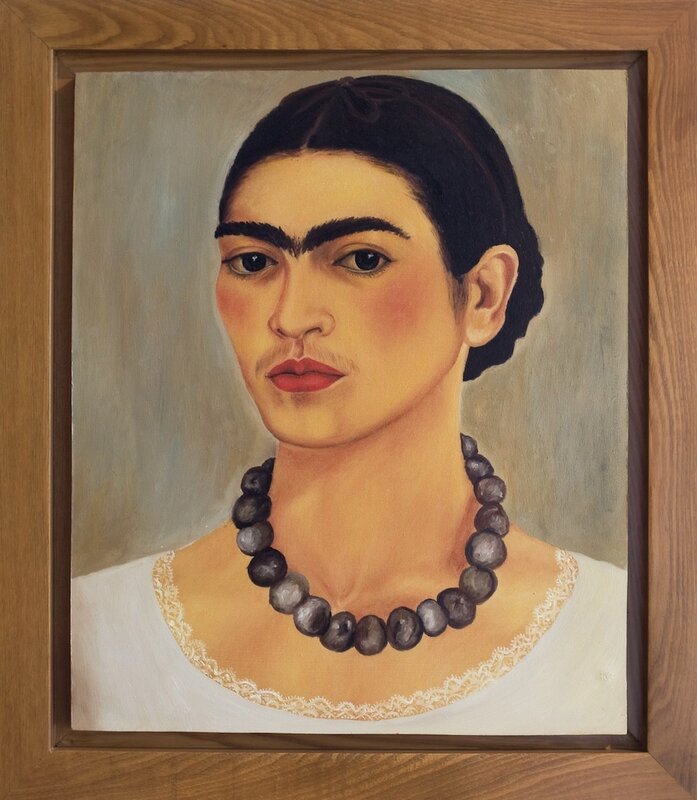 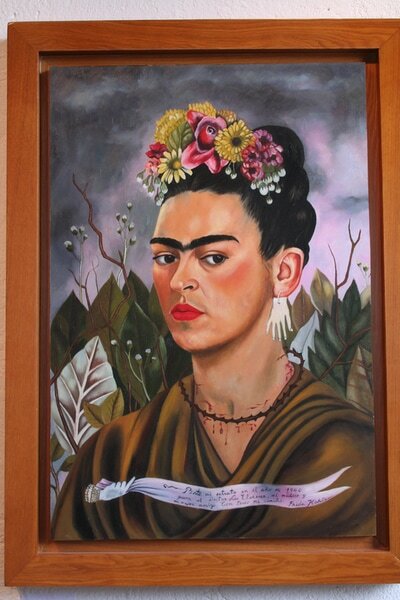 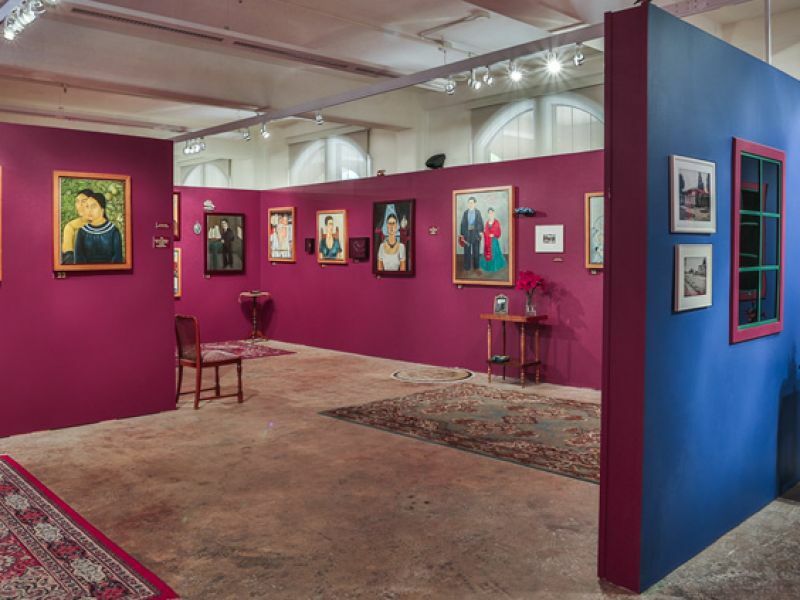 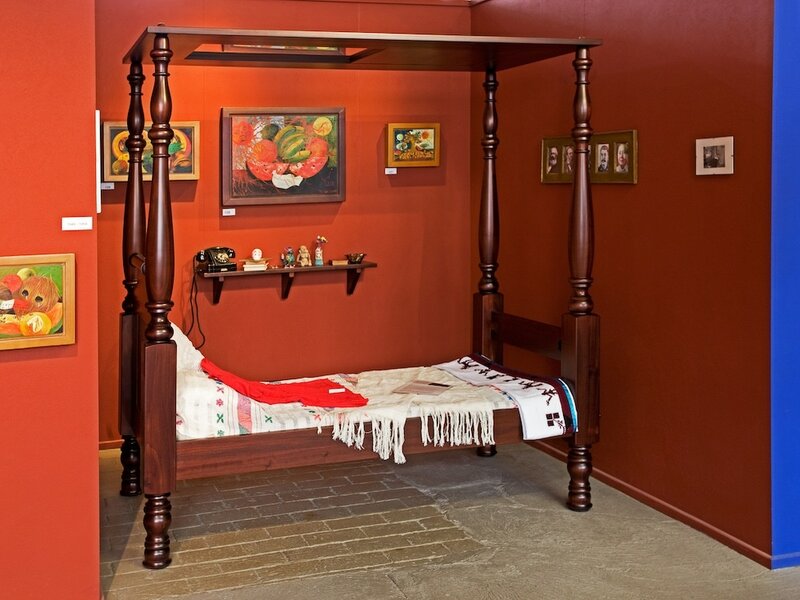 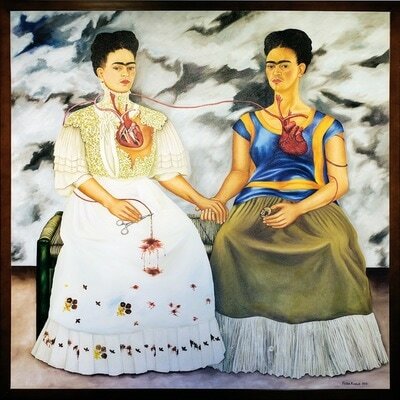 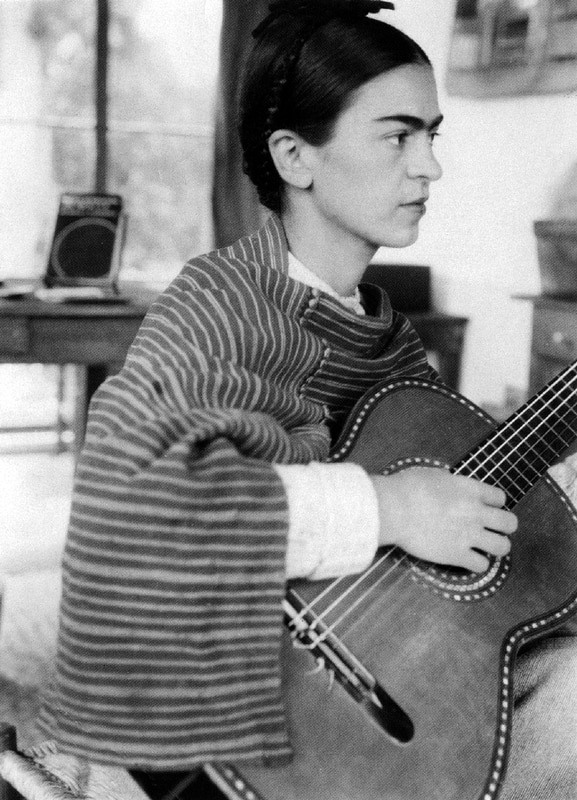 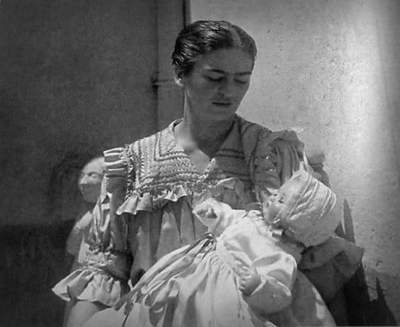 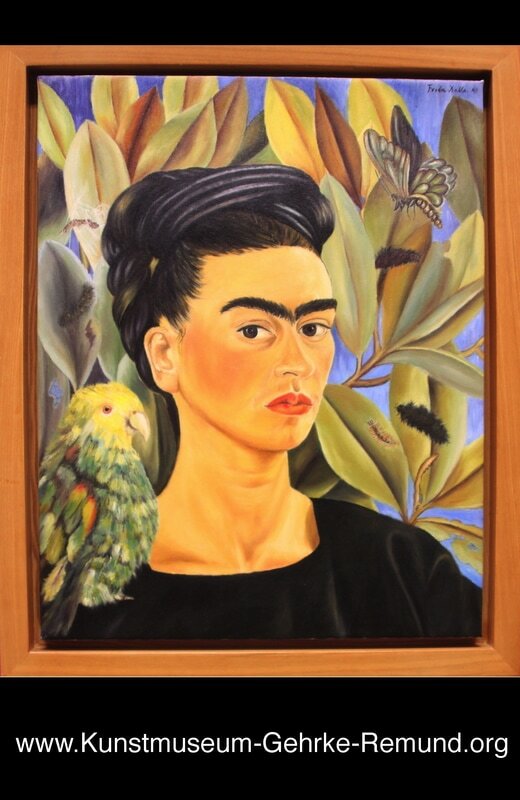 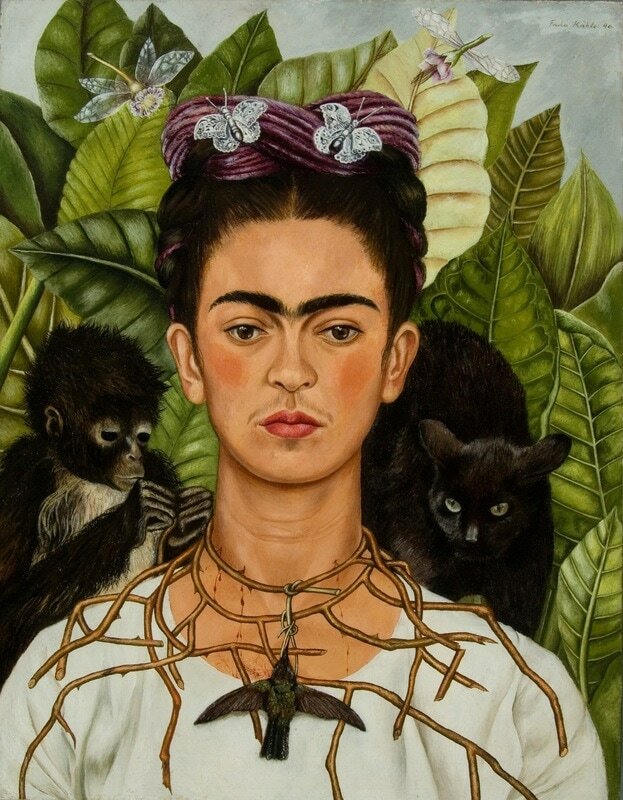 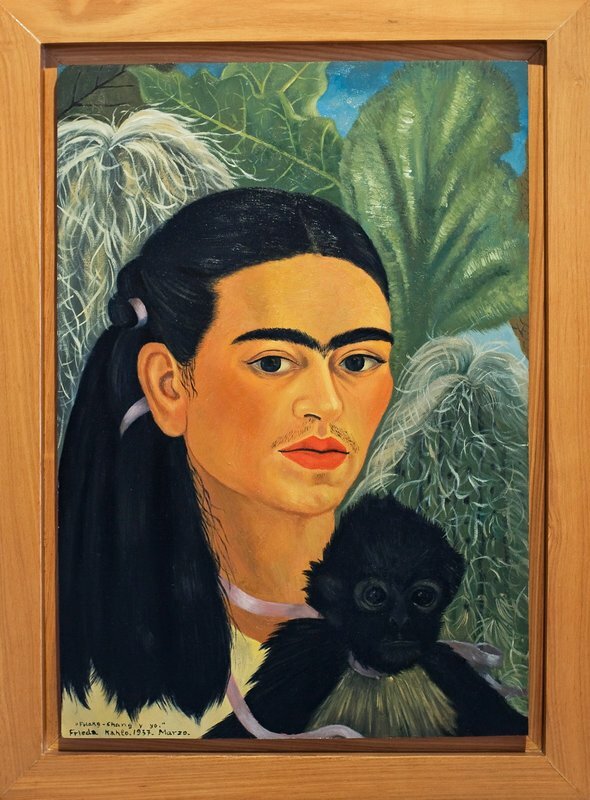 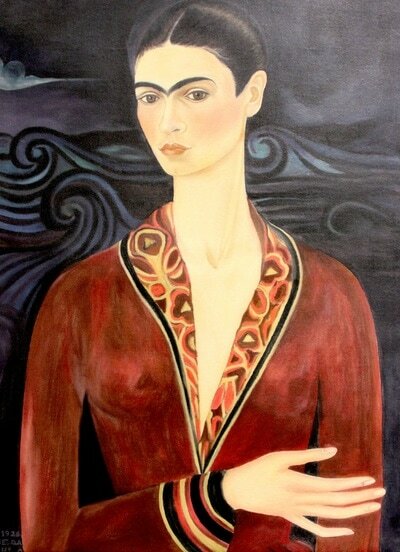 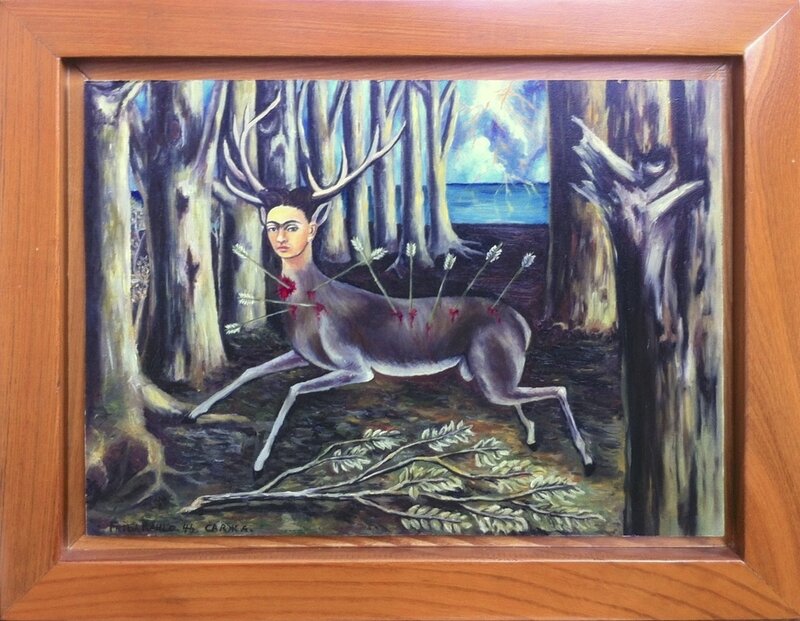 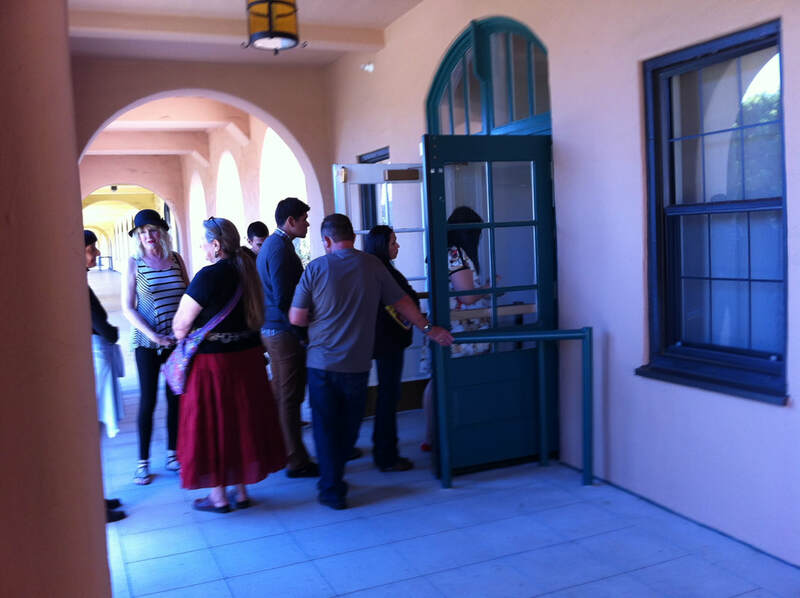 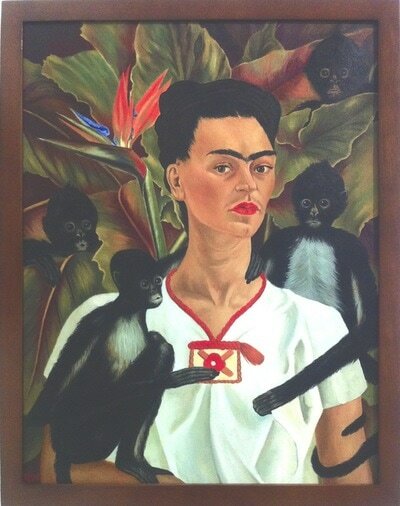 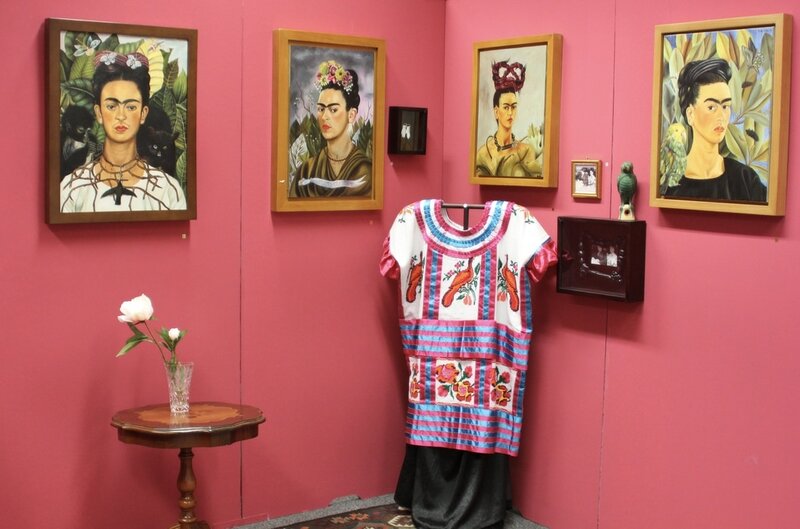 English - Buy/ Loan of "FRIDA KAHLO COLLECTION"
​If interested to buy or loan the Frida Kahlo Collection, we will provide you with additional information and conditions. 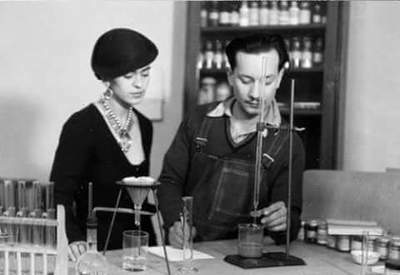 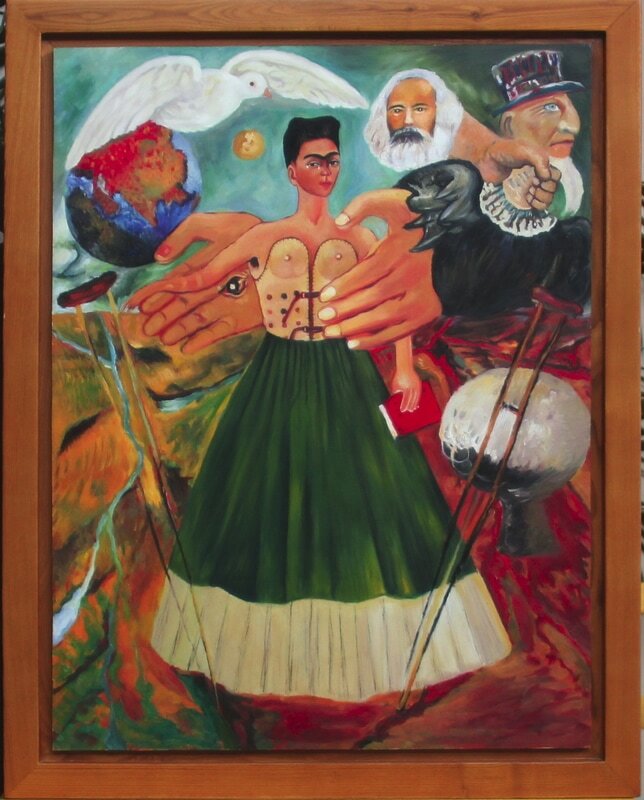 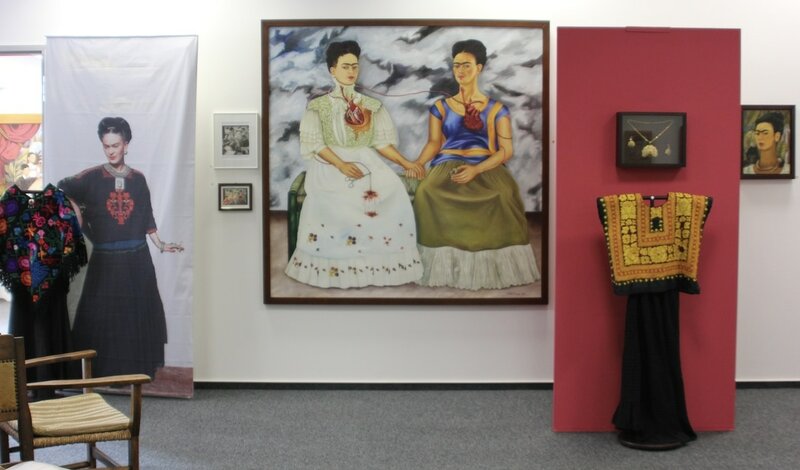 The Frida Kahlo paintings in the exhibitions are licensed replicas from © Banco de México Diego Rivera & Frida Kahlo Museums Trust / VG Bild-Kunst, Bonn 2008. 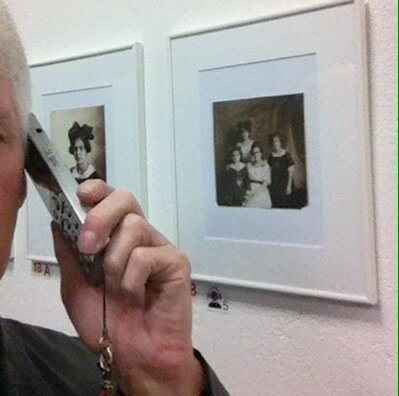 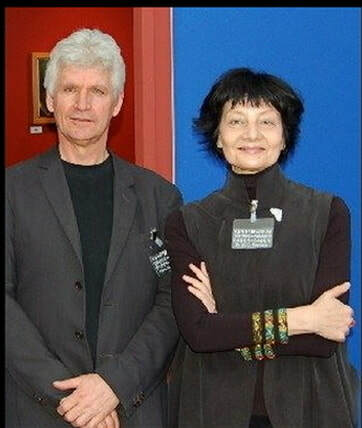 The Kunstmuseum Gehrke-Remund is the only museum in the world that has received the authorization to replicate all the works of an artist. A Replica is a faithful repetition of an artwork either done by the artist or, after the death of the artist, authorized by the heirs of the copyright of the artist, in case of Frida Kahlo, the heir of Frida Kahlo and Diego Rivera copyrights is the country of Mexico, represented by Banco de Mexico. 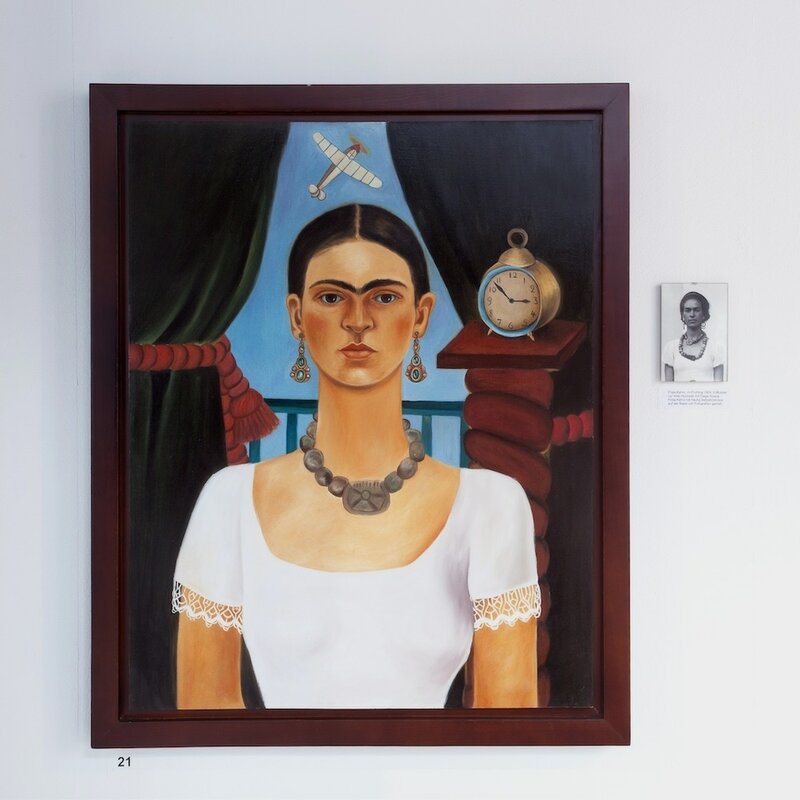 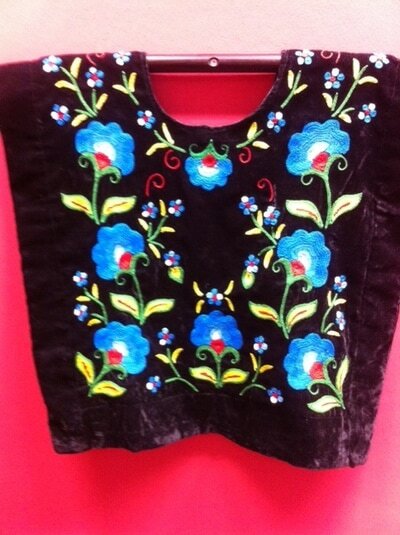 A Replica must represent faithfully the original painting in size, style, colours, materials, and if the artist signed the original, the replica must be signed as well. On the back of each replica-painting there is the inscription: “Licensed replicas from © Banco de México Diego Rivera & Frida Kahlo Museums Trust / VG Bild-Kunst, Bonn 2008” as requested by Banco de Mexico and VG Bild-Kunst. 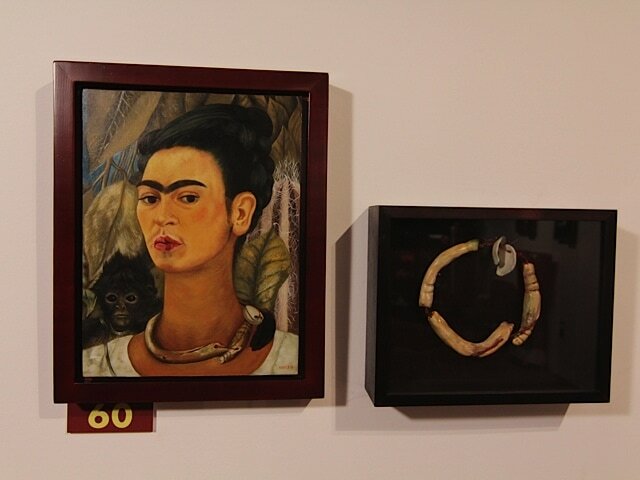 Each replica is hand painted by master artists, whose identity and own works can be seen in the last room of the Museum. 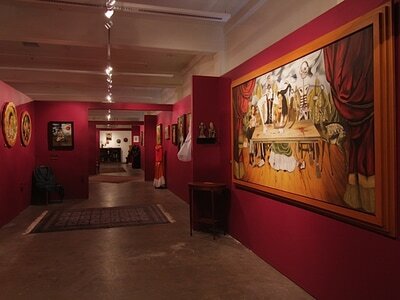 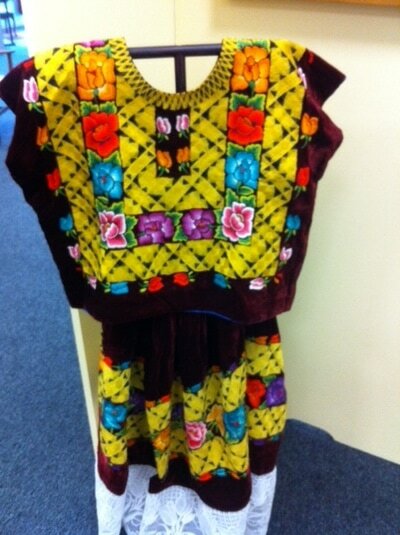 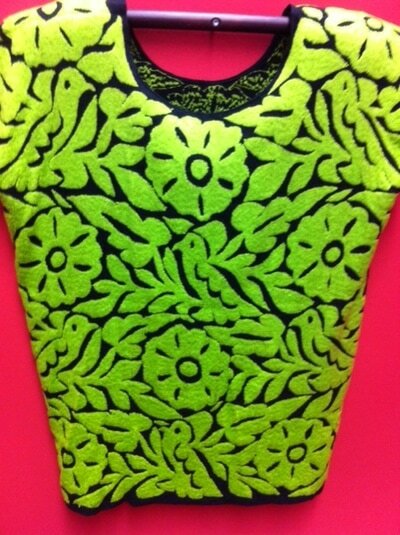 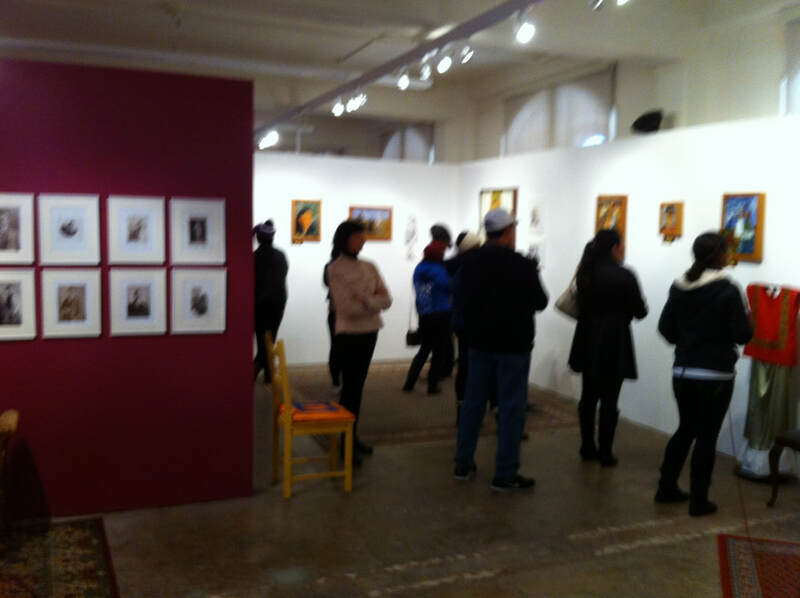 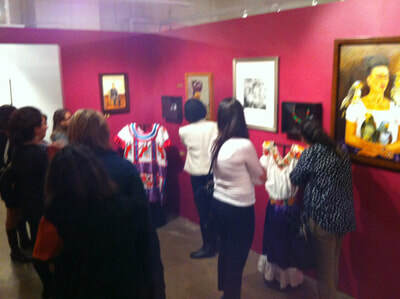 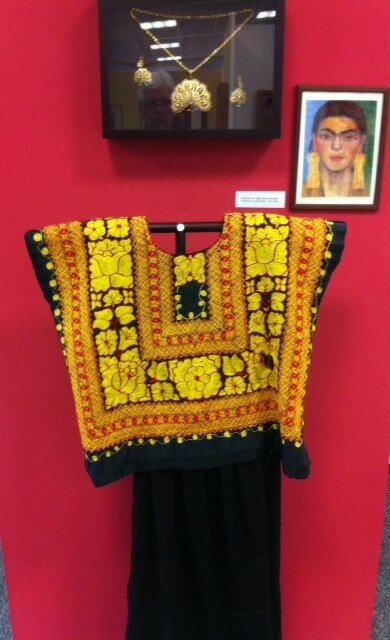 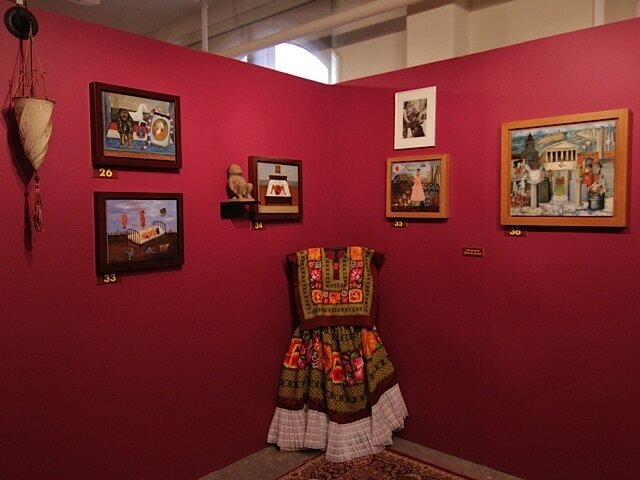 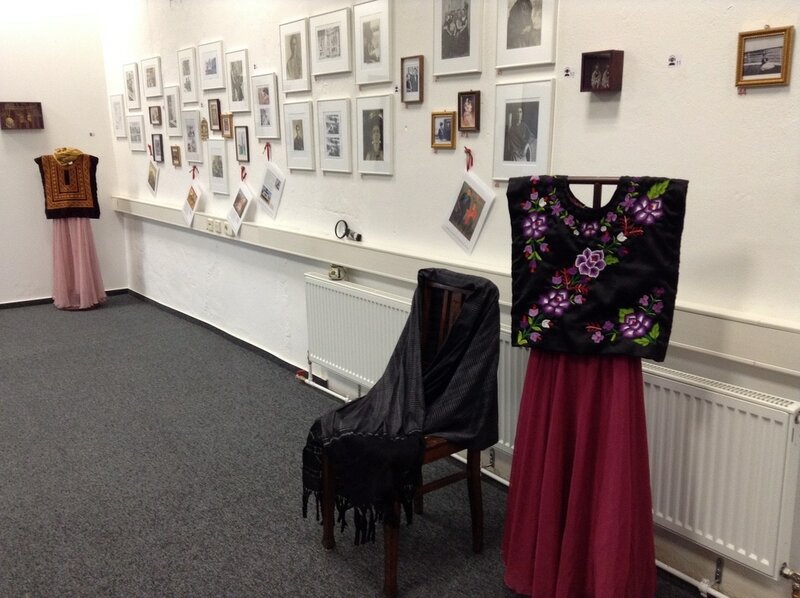 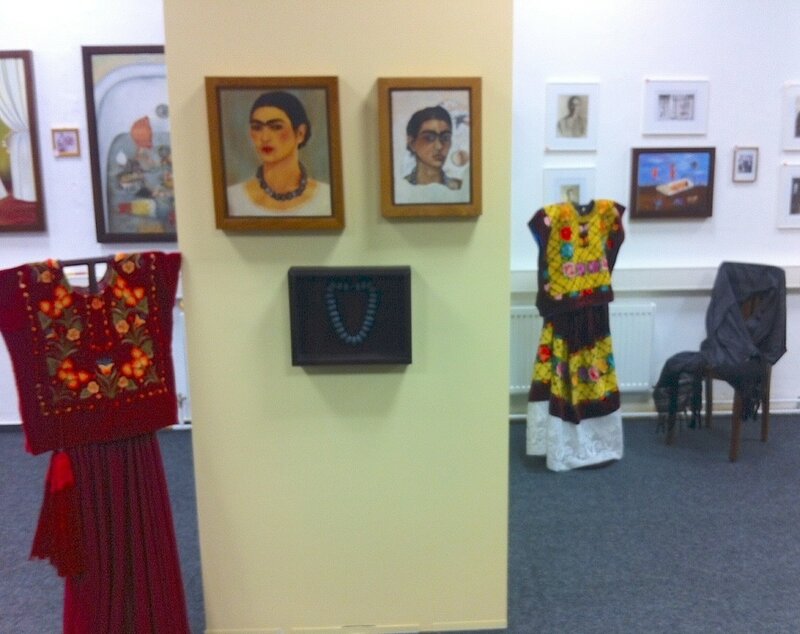 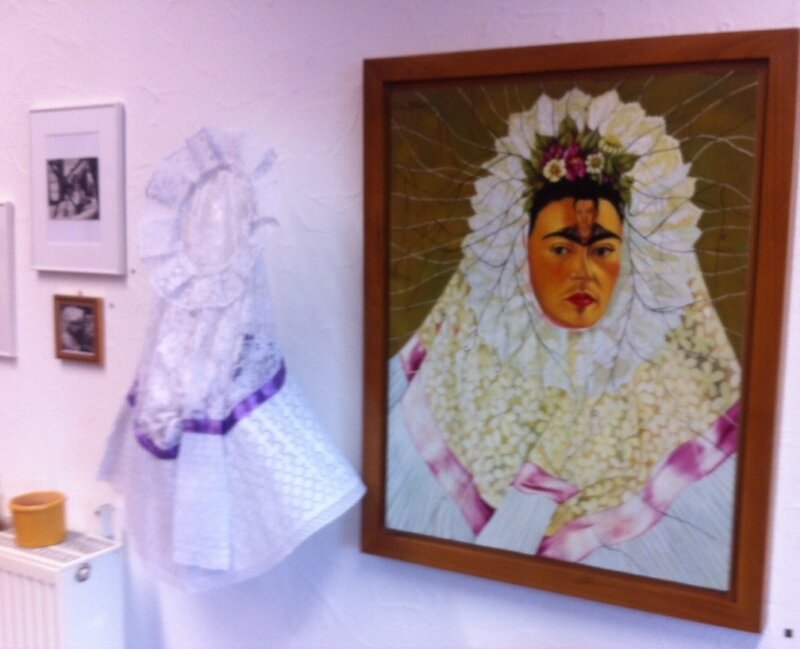 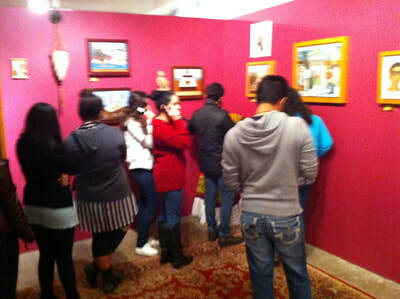 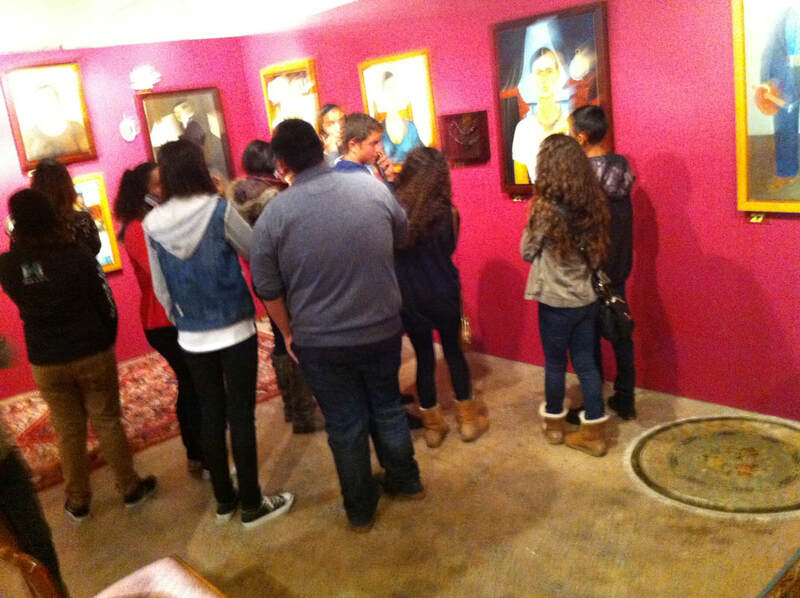 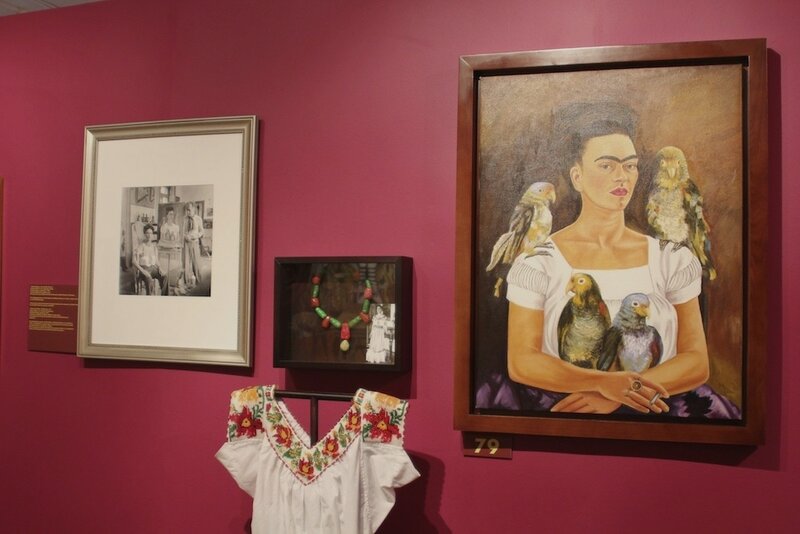 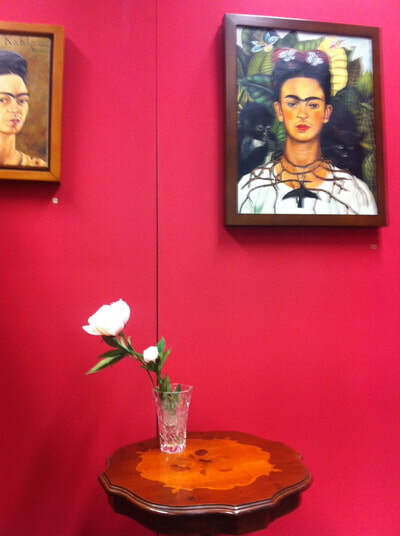 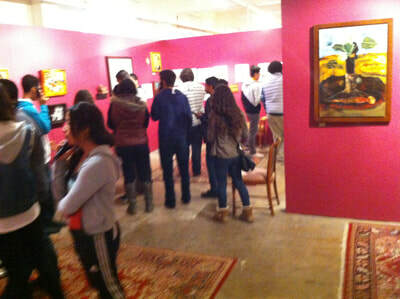 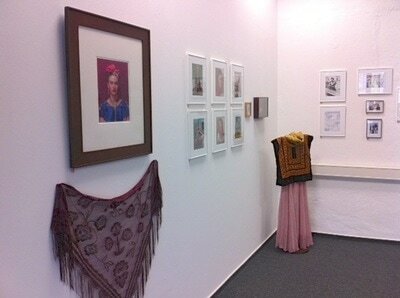 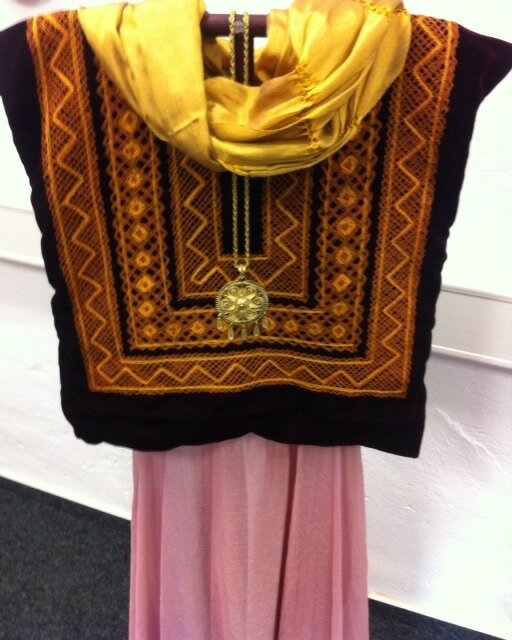 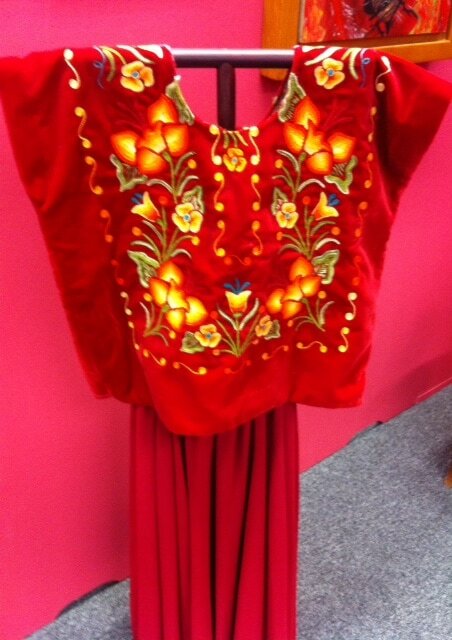 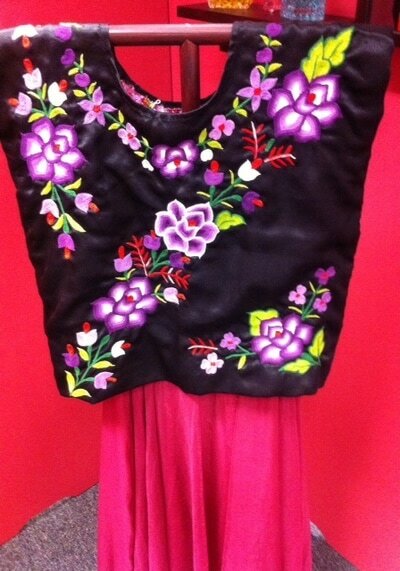 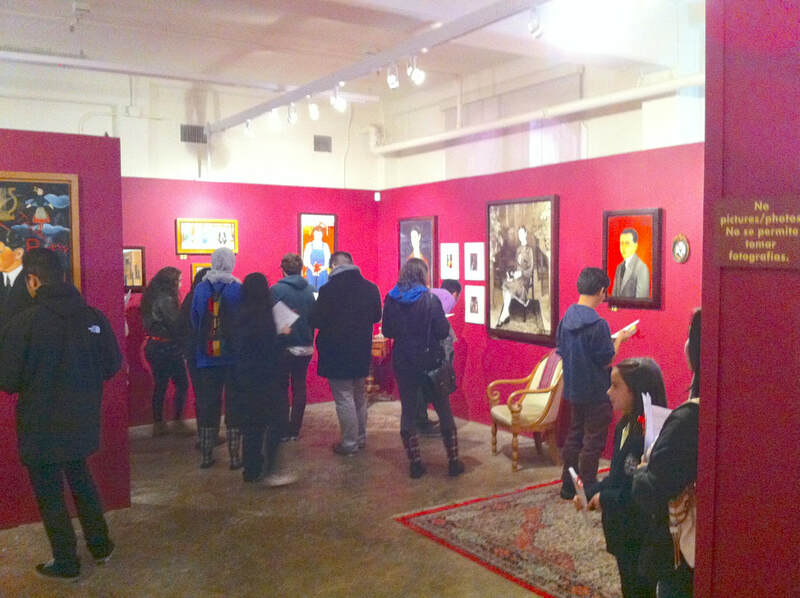 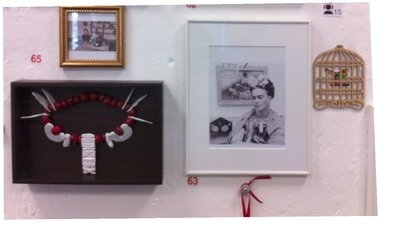 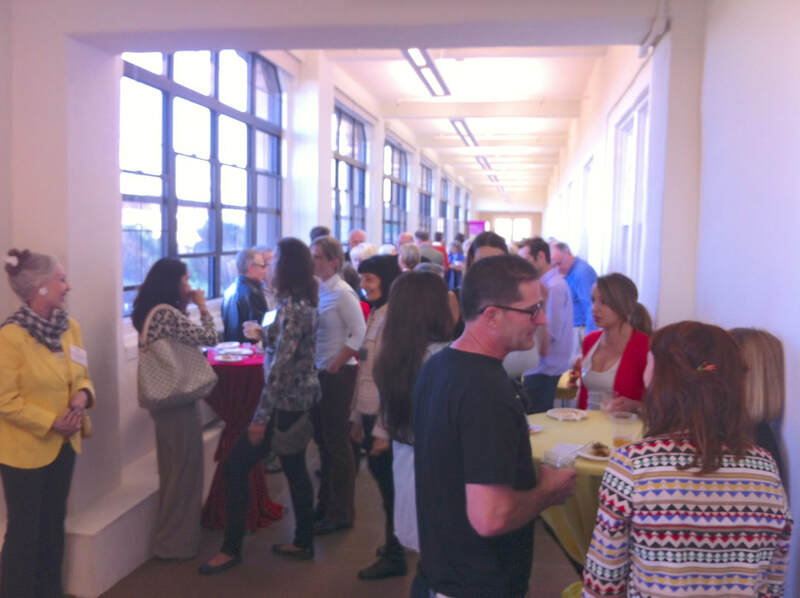 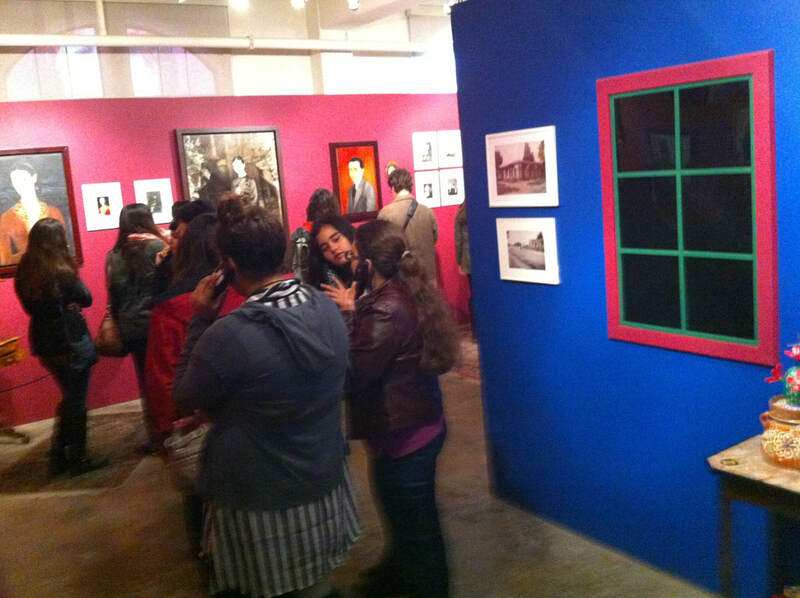 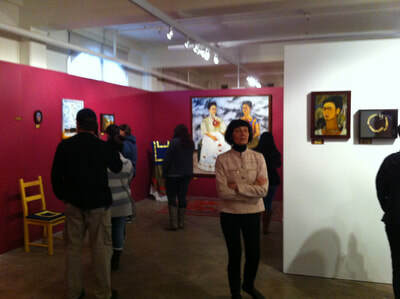 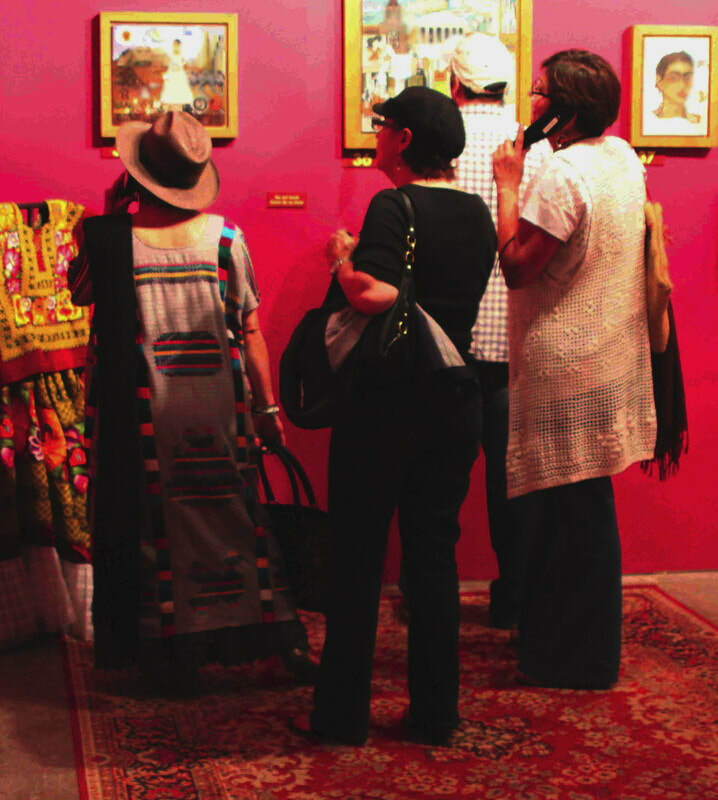 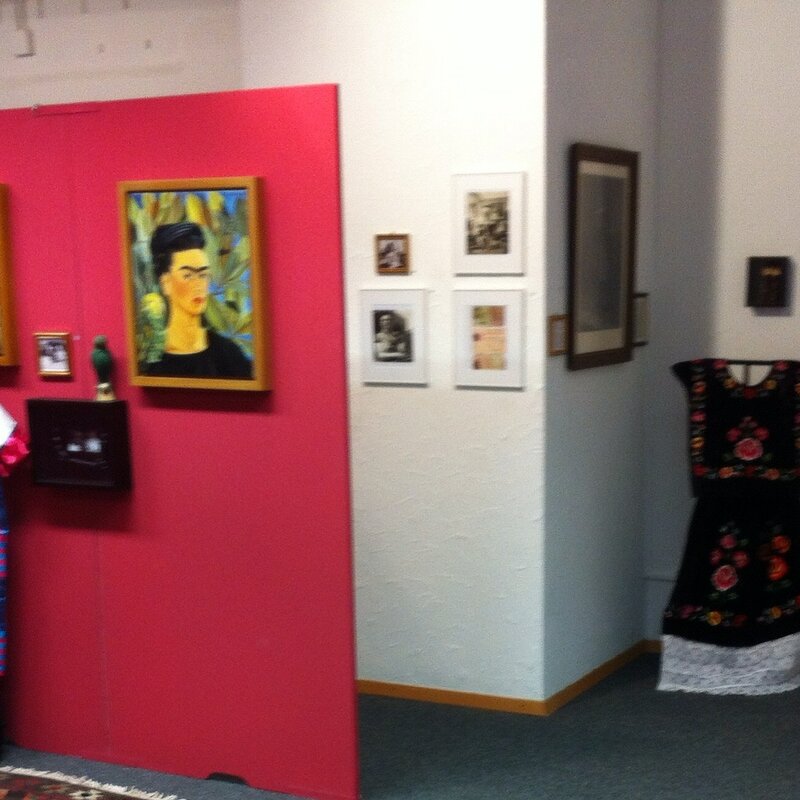 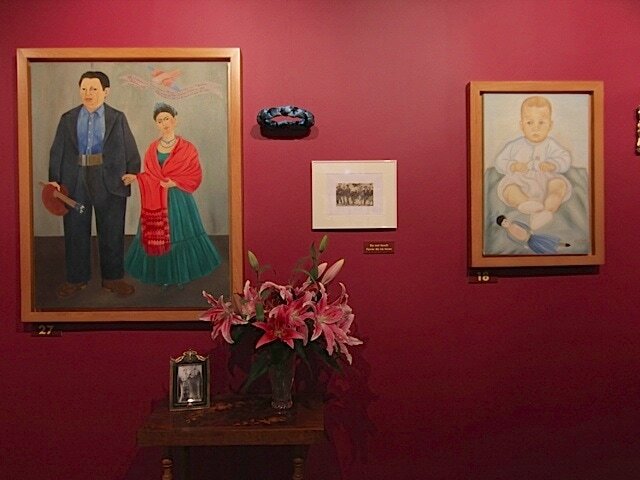 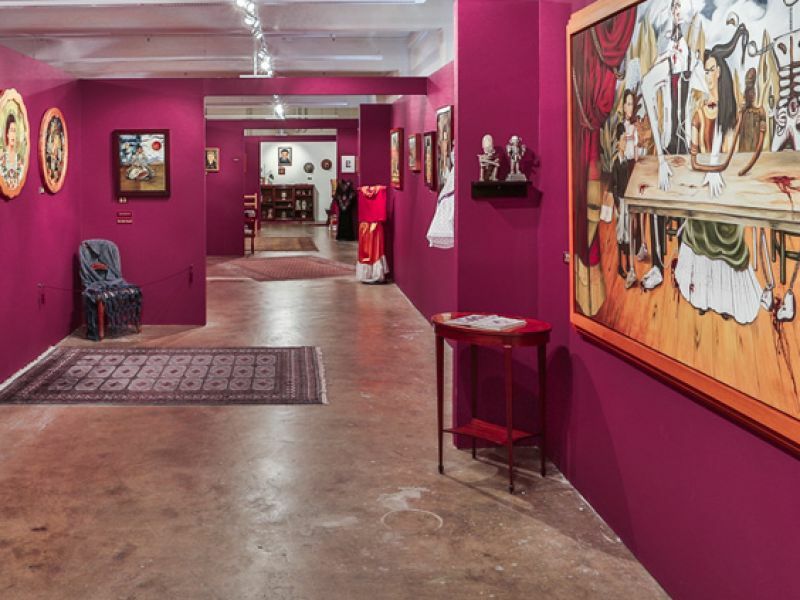 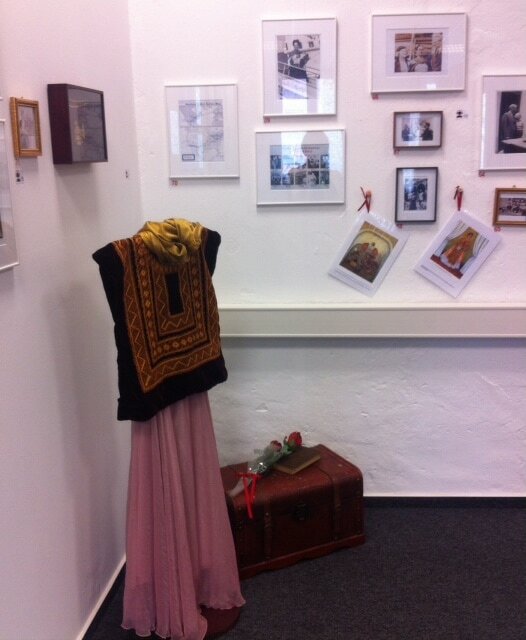 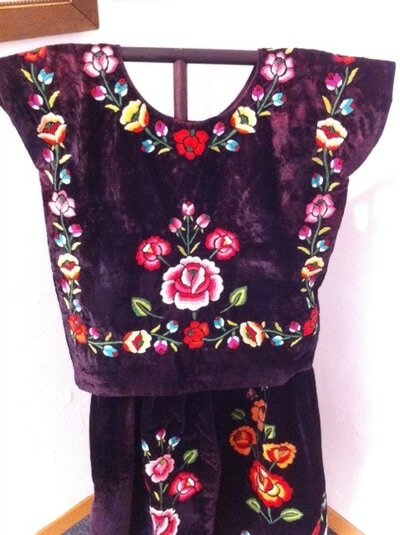 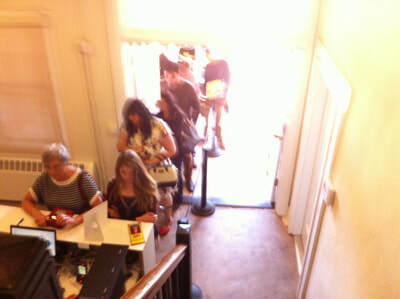 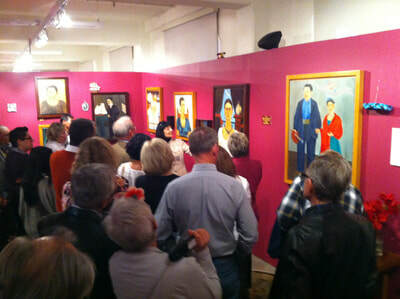 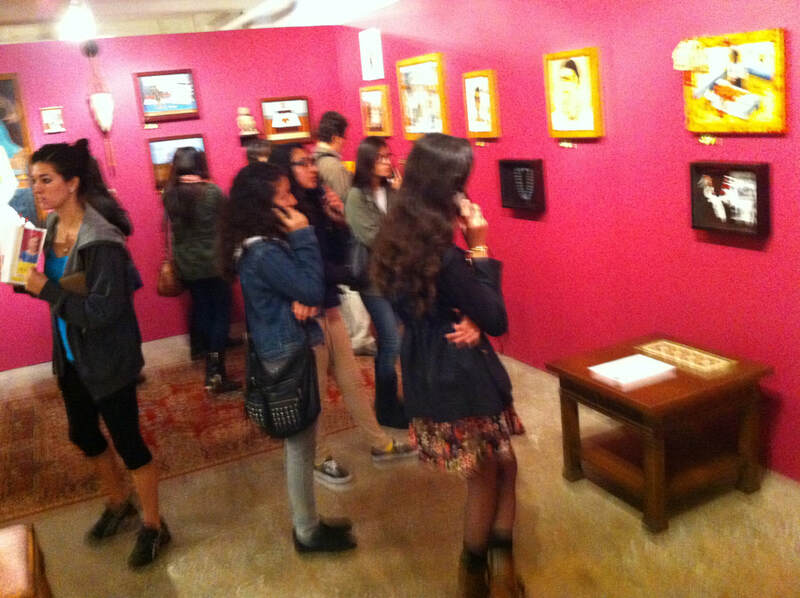 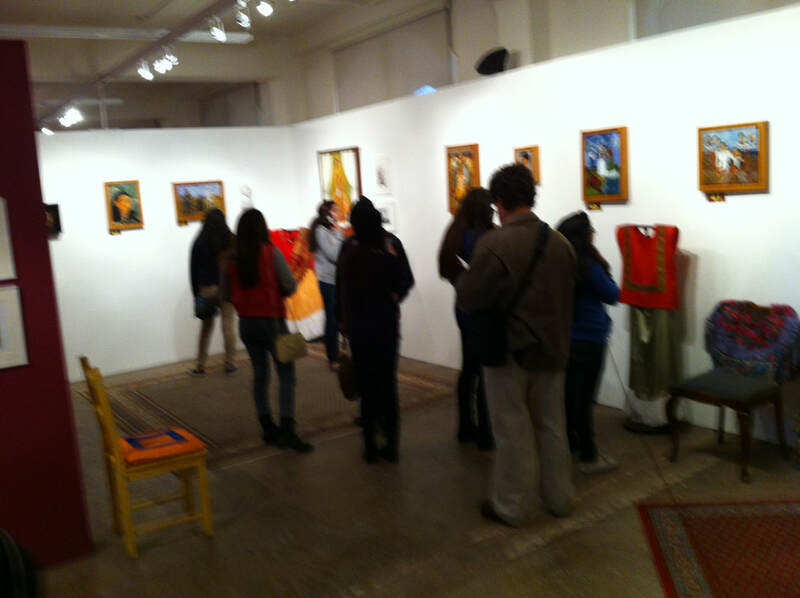 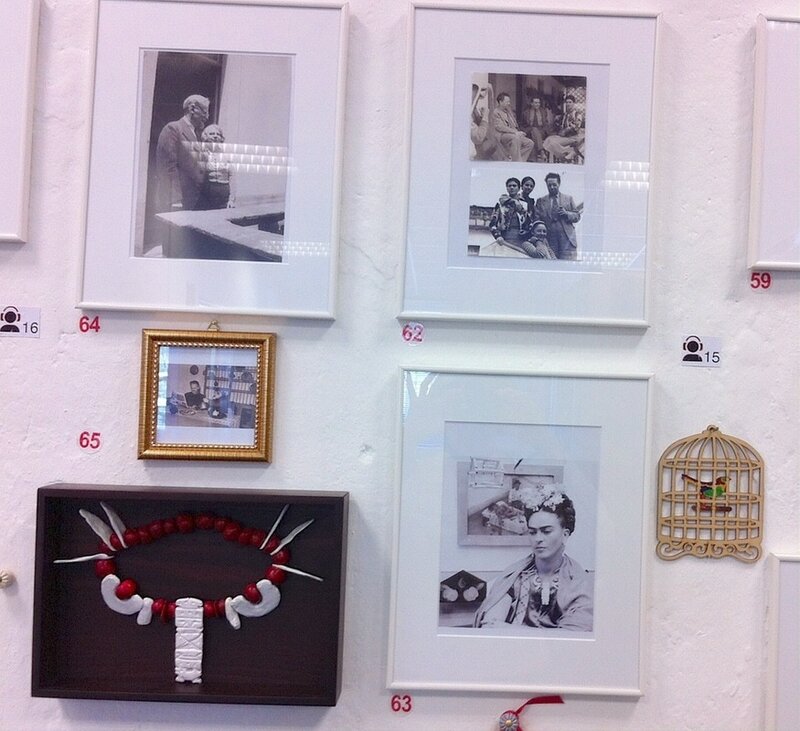 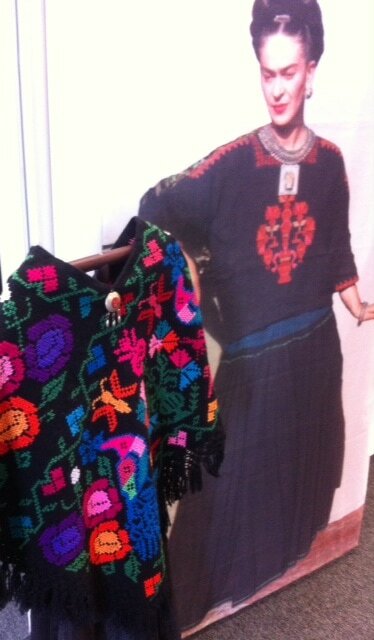 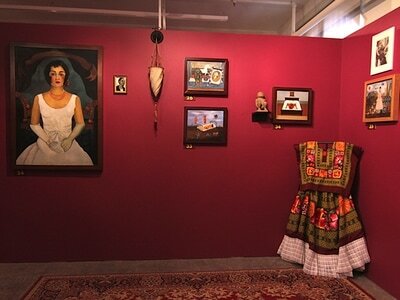 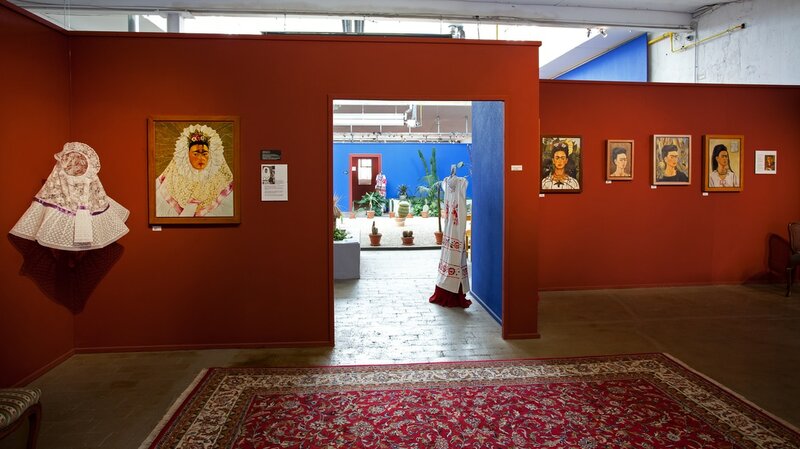 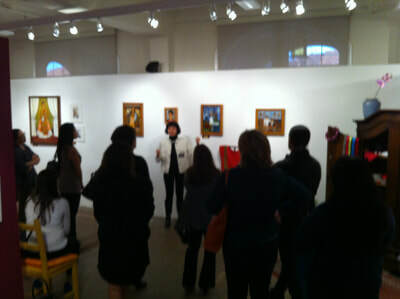 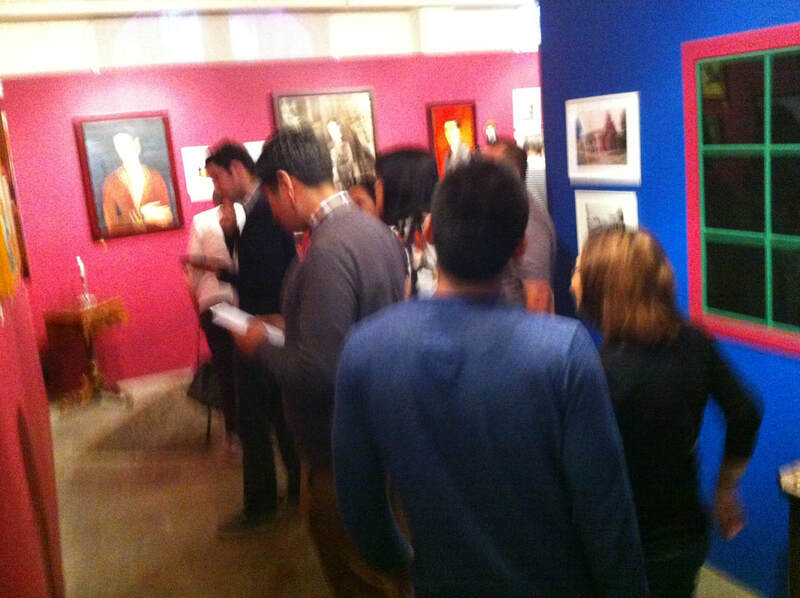 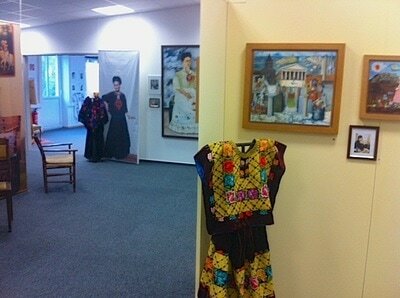 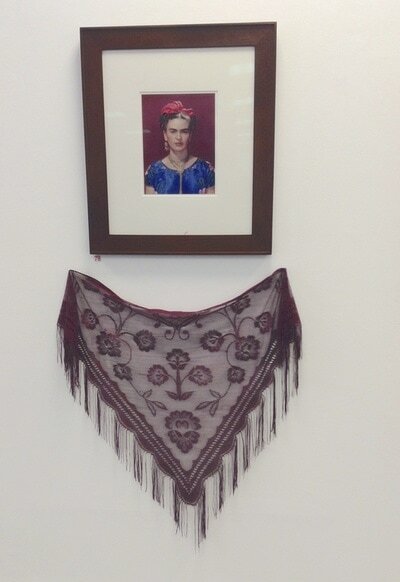 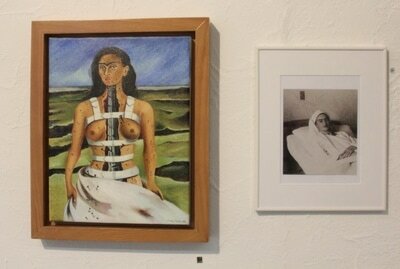 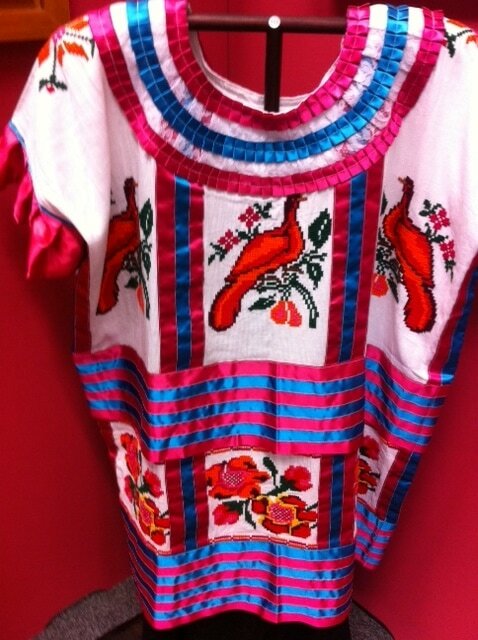 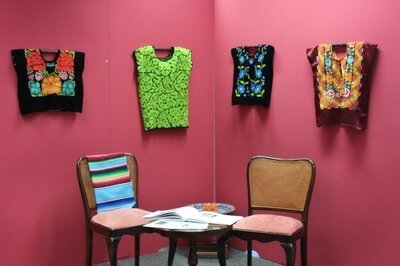 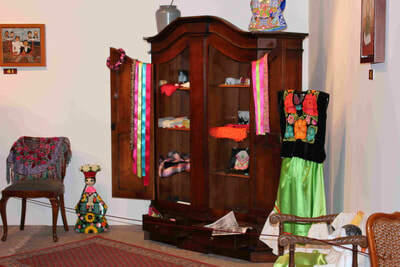 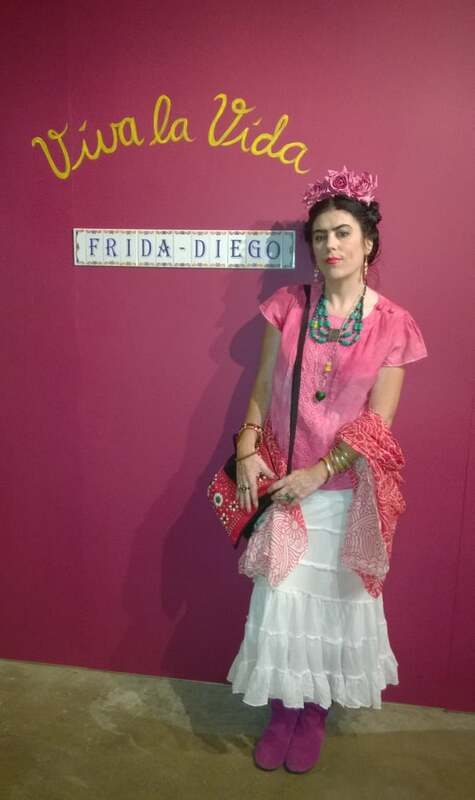 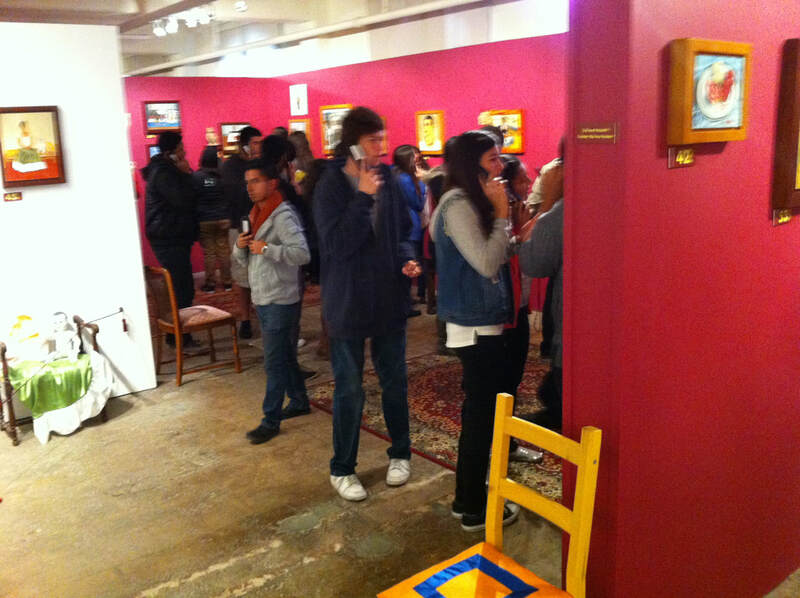 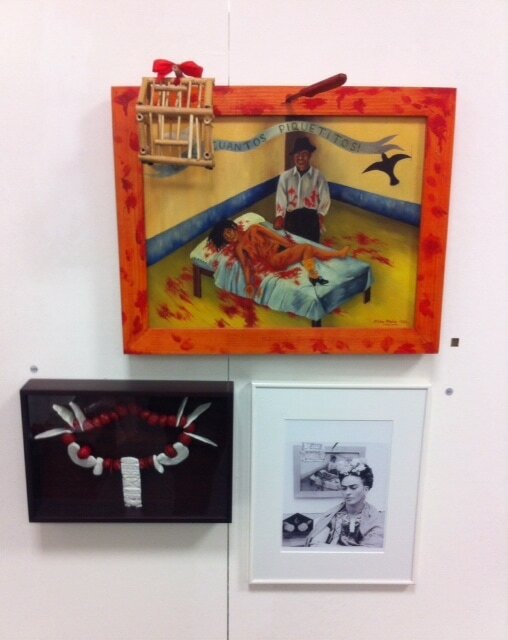 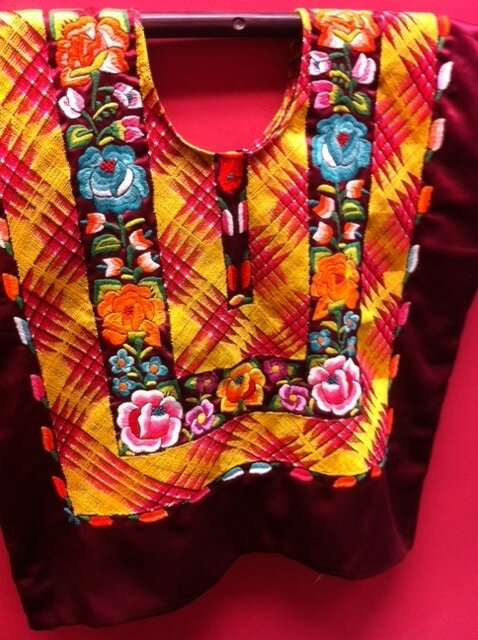 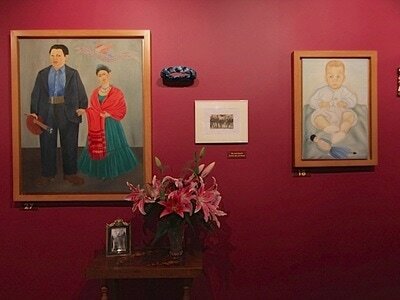 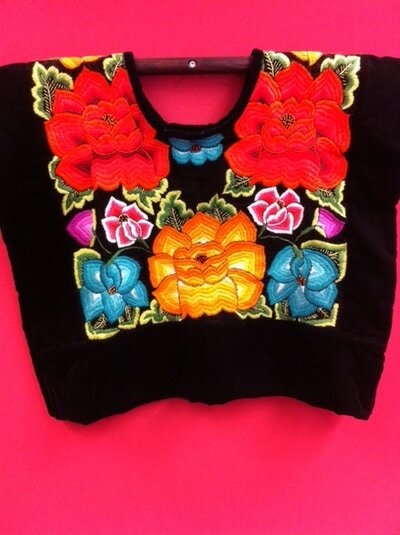 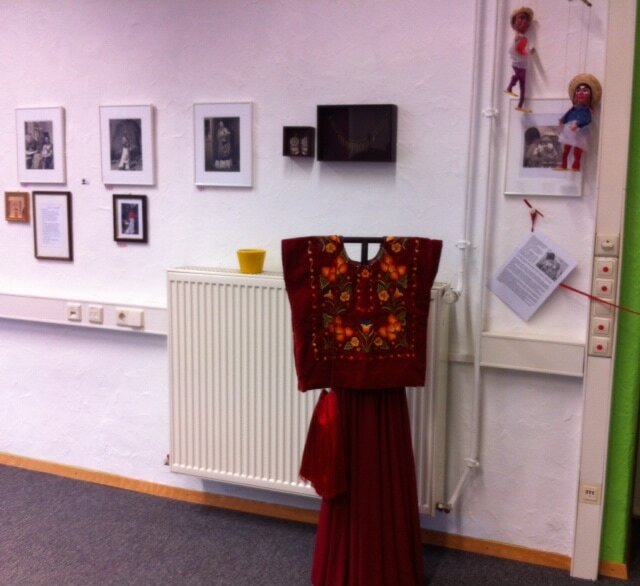 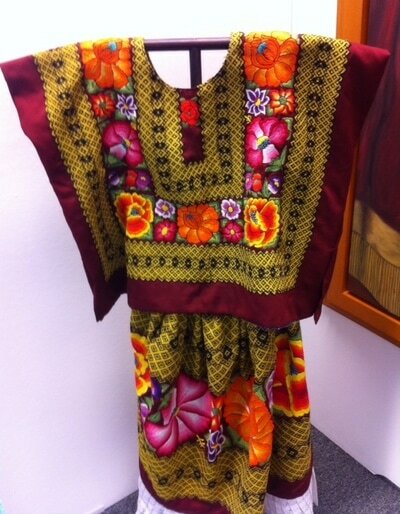 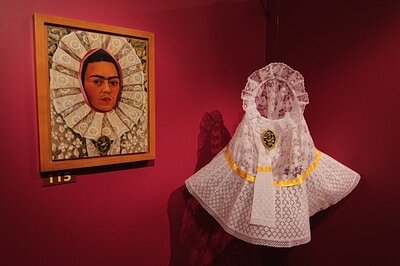 Overview of the "Frida Kahlo Collection"